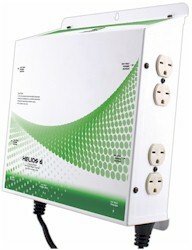 The Helios 2 runs four(4) 120 Volt ballasts for a maximum of 4000 watts HID lighting over your plants. 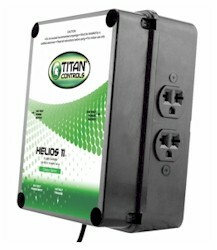 It features a 15 foot relay trigger cordset that plugs into a wall timer that can be configured in a variety of timing patterns and will accomodate any gardens requirements. 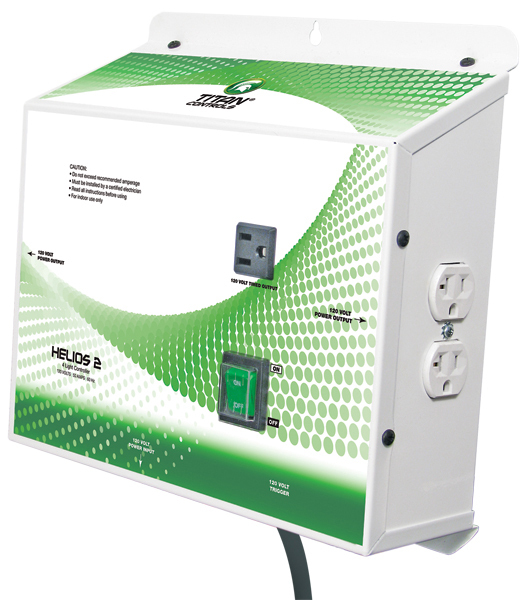 Three (3) screws under the back panel cover make this timer easy to wire into your power system. The lighting controller has a convenient 'ON/OFF' switch that makes lamp cleaning and replacement easy. 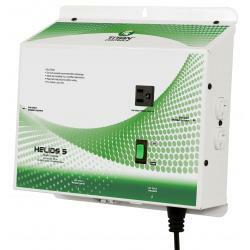 The Helios 2 has the quality, features and functionality you've been looking for in a HID lighting timer! 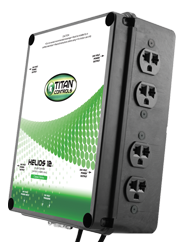 This controller will run four (4) HID lights at 120 Volts Maximum 4000 Watts. 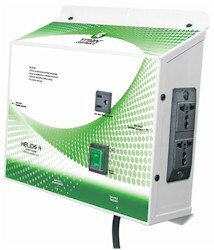 Features high quality Siemens brand relay. 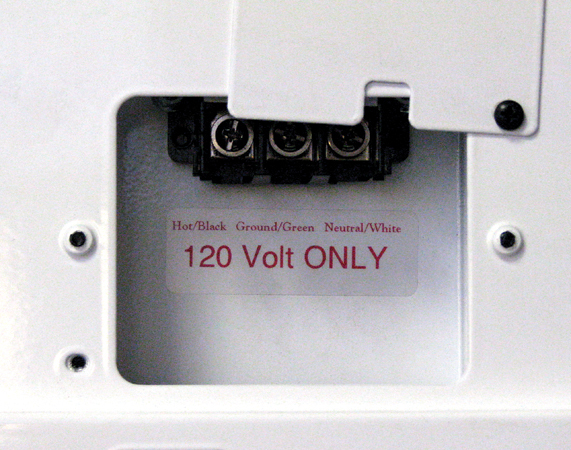 120 Volt accessory timed outlet to activate in-line fans to cool your lamps. 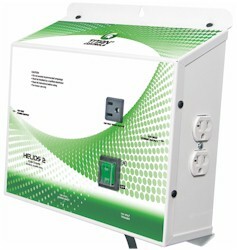 Four (4) NEMA 5-20 outlets. On/Off switch that makes lamp replacement easy. 40 Amps/120 Volts/60 Hz./4000 watts.